Roomr 4.1 – Search has arrived! I’ve just submitted Roomr 4.1 to the App Store for approval. This version brings my first attempt at a search feature. A few weeks back I was contacted by a user in the Netherlands, who wanted to use Roomr to improve the way they booking parking spaces at their company. They had an existing Exchange installation that used individual calendars for individual parking spaces. The then grouped this parking spaces into buildings using Room Lists. They found that searching and booking was quite difficult from Outlook. Search was something that has been on the Roomr roadmap for quite some time, but I never got around to implementing it, simply because Exchange’s API don’t really allow for a general search. However, with this request focused on Room Lists, I had a very clear requirement to work with. After a few rounds of beta testing, I’m pleased to report that I have submitted Roomr 4.1 to Apple! This search UI allows you to choose a Room List, date and a time range. All the rooms contained with the Room List are checked for availability. 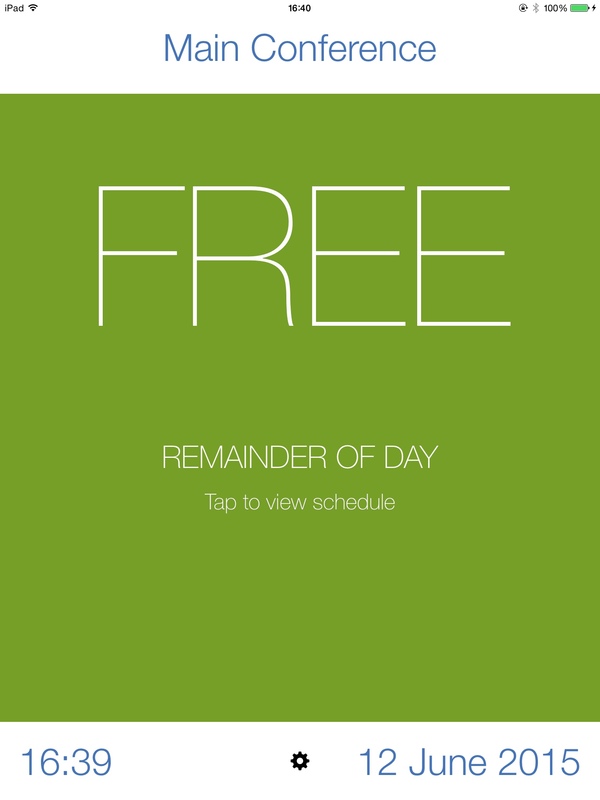 Once a match is found, the user can choose one of the rooms and open its calendar. As a shortcut, the date & time they searched for will be displayed within the calendar. Booking then works as normal. This Search feature is also available with G Suite, so Google users haven’t been left out. It obviously doesn’t rely on Room Lists. Instead, all rooms with the domain’s Resources are searched to see if they are free at the specified time. Roomr 4.1 should be available to buy from the App Store in the next couple of days. Roomr 4.0 is out and on sale! To celebrate the release of Roomr 4.0 on iOS, I’ve decided to drop the price to $0.99 (£0.79) from now, until the 14th of May. Roomr 4 includes some improvements and new features. The UI has been updated so it’s cleaner and better organised. It’s now possible to browse the Address Lists (if you’re using Exchange 2013 or Office365). You can now search Global Address List. When creating bookings, you can invite people to the meetings. Browsing is now unlocked in the free version, so it’s easier to evaluate. When you’re looking at a shared calendar, you can view the details of appointments. In addition to adding features, I’ve also removed some. MobileIron AppConnect integration is no longer present and MDM configuration is no longer supported either. These two features were added to help make a sale to a large enterprise, which, unfortunately, never came to fruition. The free version of Roomr now allows booking and browsing, without needing to upgrade. I hope these changes will make it easier for users to evaluate Roomr. The limit of one favourite will remain in place and QR scanning will still require the Pro version. The new Invitees feature in booking will also require the Pro upgrade. I hope you will download it and try it out. If you’re already a Roomr user, I hope you like these changes! Tempus Fugit. As a developer, one of the things that causes me to stress the most, is a simple lack of time. I have so many ideas (mostly useless) floating around in my head that I would like to turn into reality. I have three apps in the App Store, which I don’t really update. I also have a day job. Faced with so many things to do, I really struggle to focus. I can lock in on something for a week or two, but a customer email will arrive, or a new idea will pop into my head, and my priorities change, leaving something half done. My iOS app, Roomr, is a good example of this. 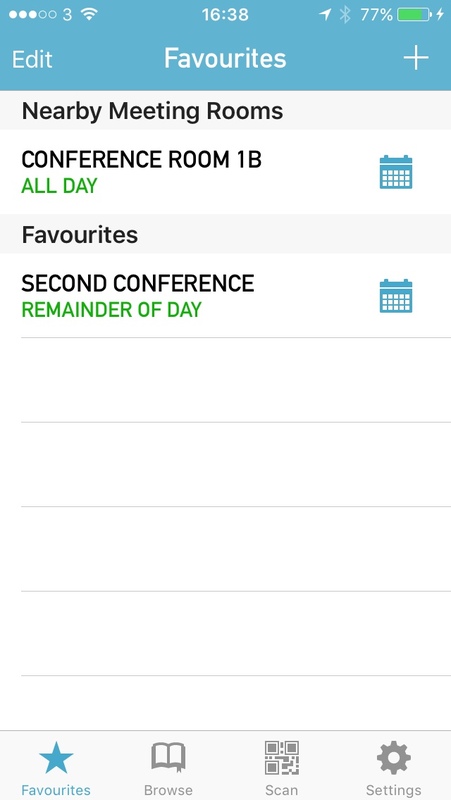 What started out as a simple app for viewing the availablility of meeting rooms morphed into something more complicated, but which wasn’t *more* useful. I kept reacting to user’s feature requests, without keeping an eye on the growing complexity. Complexity, I said to myself, is natural as a product evolves. Roomr doesn’t make much money. I’ve sold a few thousand units over the years, which I’m very thankful for, but it’s never actually been worth my time. Rather than maintaining that app, I’d have been better building an app for somebody else and getting paid. It took me a long time to accept this simple truth. Uncontrolled feature creep is the biggest issue I face. I recently had a user state, in an email, that if I added feature X, they’d buy ten units of the app. I knew it would take me 20+ hours to implement this and that ten sales hardly covered 1/2 an hour of my time, but I went ahead anyway, knowing full well, that I’d probably never see a return on this investment. I justified it by saying “if I add feature X, more people will buy it”. The fact of the matter is, it won’t make a blind bit of difference. I’ve had this request from two or three other users in the past three years. Another justification for adding complexity is that by adding feature X, a large company will buy many, many licenses i.e. £££ for me. Again, reailty has taught me otherwise. I’ve had large multinationals inquire about the app and large scale deployments, but none of them ever made a purchase, despite many changes. An app with just one developer behind it, presents too much risk for companies, which I understand. 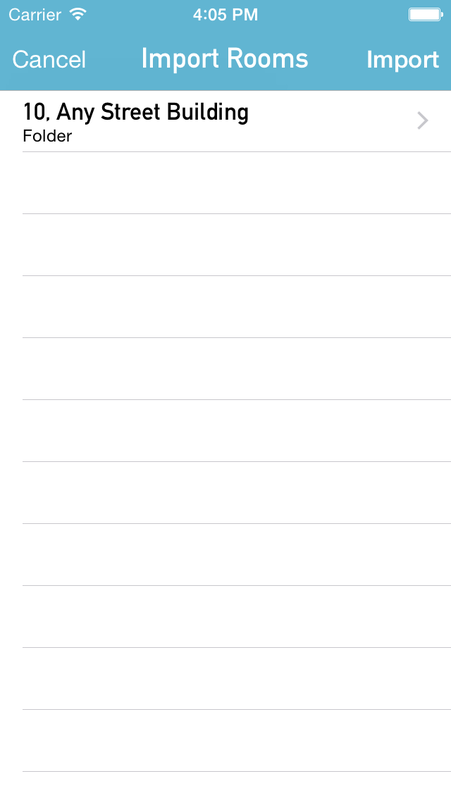 I’ve come to realise that, when you’re on your own building apps, simplicity is probably best. My iOS apps, Roomr and Peopler started with a very narrow focus on doing one thing and doing it well. Somewhere along the road, I lost focus on that. Sure, it was fun and interesting working on the complex stuff, but in the end, I think my nerves and customers, suffered. I had planned on Roomr 4.0 being more complex than the previous versions, but I think it’s time to start ripping stuff out and making the app more focused than before. I’m also going to try ad support. If I can generate more revenue, it will be easier for me to update the apps. This will, I suspect, upset some existing customers, but I would rather try a new approach, then kill the app off completely. My work on Roomr 4.0 continues! One of the most requested features when creating meetings is the ability to invite other people. Starting with Roomr 4.0, this will now be possible. The UI is still evolving, but here is an early look. You just type the name of person you want to invite to the meeting and Roomr will search Exchange for any matches. You can select multiple people to invite and the UI is similar to the iOS native calendar, so it should be pretty easy to use. This morning I submitted the first build of Roomr 4.0 to Apple for Beta Testing. I know it has only been three months since I released 3.0, but I’ve decided that since I’ll adding two or three large new features, that 4.0 seemed more appropriate. So what is coming in 4.0? With Roomr, there have been a few consistent feature requests. Browse all the rooms like I do in Outlook. View the details of a meeting. I’ve resisted implementing some of these (2 & 3) because I felt they were in keeping with the spirit of the app. Request 1 was due to sheer complexity. Roomr uses Exchange Web Services for availability, but this doesn’t offer any access to the Address Book within Exchange. After pushing back, I decided to roll up my sleeves and try to tackle request 1. Lots of people had written to me asking why they couldn’t browse rooms. When I explained that you could using Exchange Room Lists, I was met with blank stares and comments like “My IT guys won’t do that”. I took the stance of “sorry, but hard cheese”. On reflection, this wasn’t the best idea I ever had. You see, Browse required an upgrade to Pro or the purchase of the Pro version. You can imagine that a lot of people were quite pissed off that, having upgraded, they still couldn’t browse. I’ve seen quite a few refunds issued because of this. I mean, I don’t blame people, in spite of the fact it was clearly stated in the description of the app that Room Lists were required. People see it work in one bit of software and expect it to work like that everywhere. I rolled up my sleeves. Exchange implements a protocol named MAPI. This, traditionally, is accessed using RPC. RPC is hard and really low level (we’re talking TCP streams). I wrote RPC implementations in C back in 2002, so I was no stranger to it. Thankfully, Microsoft have “upgraded” this over time, offering RPC over HTTP. I read the specification. Twice. And decided that wasn’t going to happen anytime soon. With Exchange 2013, Microsoft added MAPI over HTTP. Not exactly JSON based, but doable. It was still binary, just blobs of bytes sent over HTTP, which, in reality, is no different from a JSON based request. Old School. 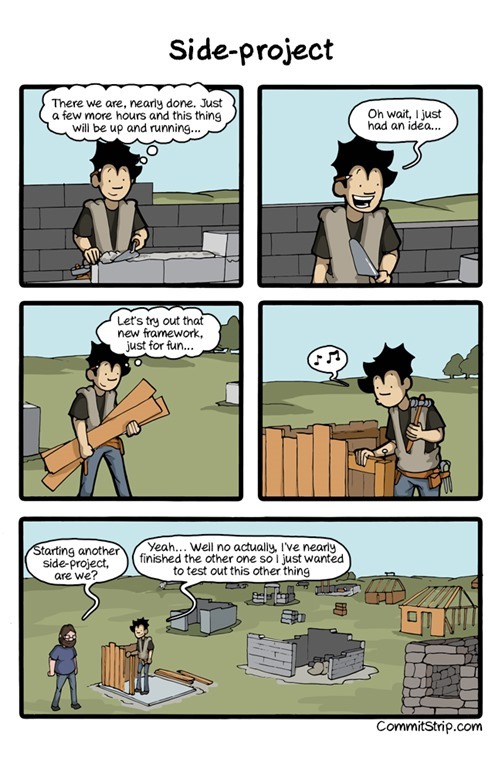 I read the docs and set about building an implementation in C# that used lots and lots of Byte. After lots of short bursts of work spanning a few weeks, I got it working. 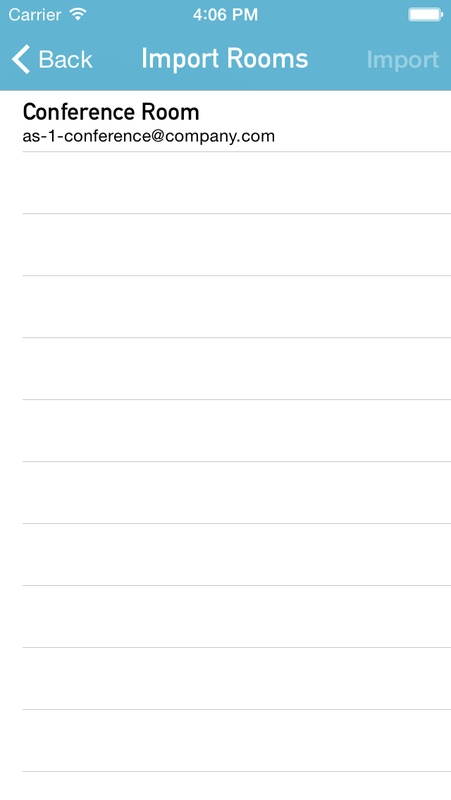 I then ported it to Objective-C and, after more trickery, I got it working with Roomr. This screen shot shows the updated Browse view, where you can see the All Rooms address list and the Room Lists. 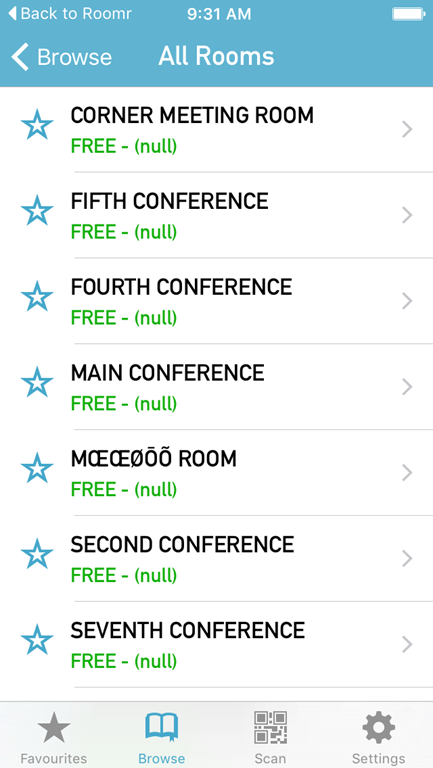 Expanding the All Rooms list shows all the meeting rooms within Exchange. I’m pretty proud of myself right now. I hope this will make Roomr much more useful to people, since they won’t be replying on their IT guys to create and maintain Room Lists. I also hope it’s more accessible. I’m planning on making Browse “free”, so it won’t require the upgrade. I hope this will encourage more use and by making other features premium ones, such as booking and opening appointments, I’ll encourage more conversions. I will only know if I try. This stuff is all quite new, so the more instances of Exchange it is tested against, the better. 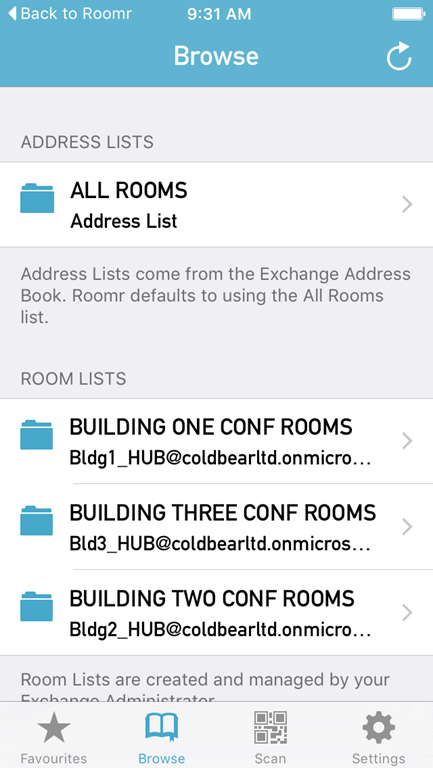 A common request I receive for Roomr is to add an ability to import room information without needing to use Exchange Room Lists. Room Lists aren’t the greatest of Exchange’s features. They are, as the name suggests, simply lists of Rooms. Whilst you can have multiple lists, you can’t nest them or organise them into a hierarchy of any kind. Further more, there is no UI available to create or maintain them. It’s all accomplished via PowerShell. This makes them even harder to use. As you can hopefully make out, there is a folder called “10, Any Street Building”, which is broken down into two floors, each with one room. It looks something like this on an iPhone. This is a pretty simple case, but common for larger companies that are spread over multiple floors and potentially multiple buildings. This sort of nesting also makes it very easy to search based on context. 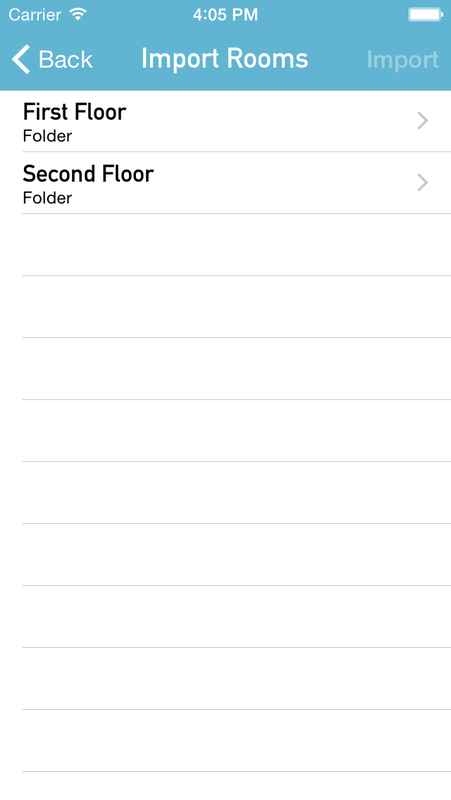 The information can then be imported into Roomr, so it’s readily available from your iPhone at any time. The config file can be deployed as an email attachment or accessed via a link. This version of Roomr, 2.9, is currently awaiting Apple to approve for Beta testing. If you’re interested in being part of the Beta program for Roomr, please get in touch! As always, feedback is welcome! As part of my on going work with Roomr, I’ve recently released the beta of the new Roomr for iPad. This product is designed to be used as a meeting room status indicator and gives an “at-a-glance” status of a meeting room. The iPhone performs a scan for iBeacons and retrieves the information about nearby rooms. Pretty cool. From here it’s possible to do all the usual stuff, checking the calendar, making a booking etc. It’s all just prototyping and won’t end up in Roomr anytime soon, but it’s always good to explore the possibilities. On a sidenote, if you’d like to be part of the Roomr for iPad beta program, please get in touch (tomas@coldbear.co.uk) and I’ll arrange access!